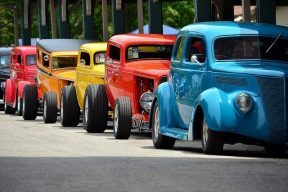 End of Summer Show n Shine – The crowning glory of Summer fun is Ukiah’s Annual Classic Car Show. The End of Summer Show n Shine is held the third weekend of September. On Saturday, nearly 300 vintage, antique and classic automobiles line the streets of Downtown Ukiah. Put on by Ukiah Main Street Program with help from the City of Ukiah.